You may remember I have mentioned using organic products for bubs before. We are going down the organic road due to her allergies and sensitive skin. She reacts easily to fragrances, additives and petrochemicals along with her food allergies. 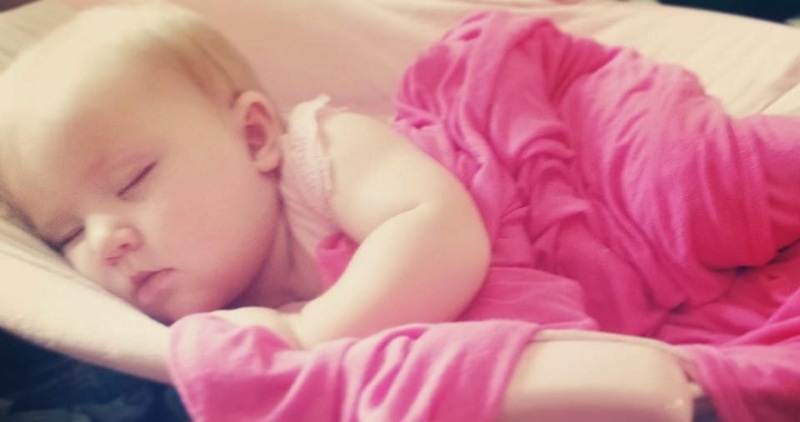 We are being super careful with products and fabrics that come in contact with her skin as she is prone to eczema, heat rashes and welts from histamine reactions. This has involved a lot of trial and error and a lot of reading ingredient labels. I never paid much attention to what was in things before, but now I think I have a degree in deciphering labels. I've also sorted through a heap of different brands to work out what she reacts to and what is safe. Originally we were using a lot of the well known baby brands, but I've found we definitely need to go down the organic route for skin products as she reacted to too many of the normal brands. There are a lot more organic brands out there than what I first realised. Once you start researching there is a huge range available, you just need to know where to get them. I've found facebook and the internet have been the best place for me to source organic brands. I find there's not a huge range of them in the big baby stores and we don't have many boutique stores around here so online was definitely the best choice for me to source from (and you can easily compare them before buying). 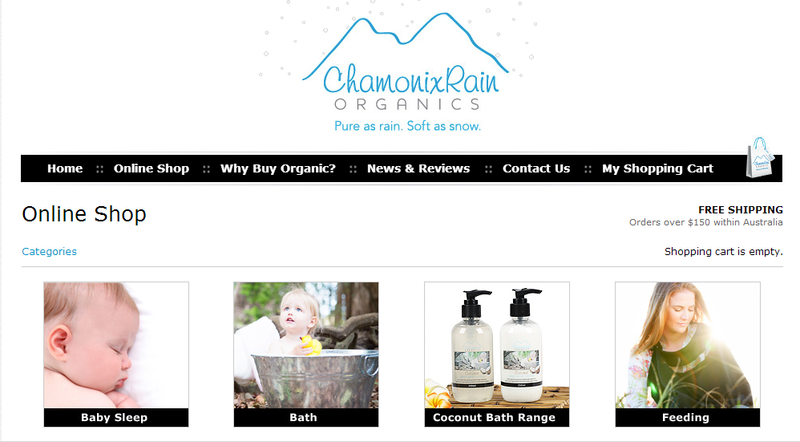 One brand I have come across that I particularly like is ChamonixRain Organics. All of the products stocked are designed by owner Michelle. 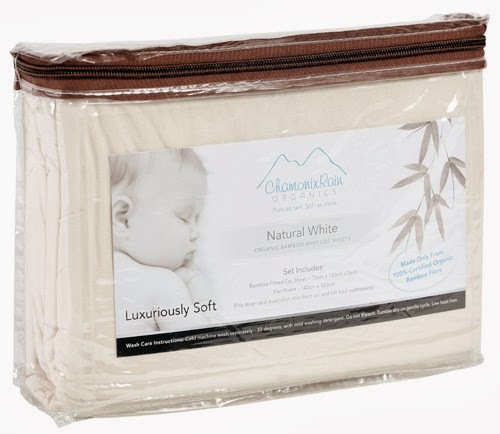 ChamonixRain Organics is an affordable baby essentials range made from high quality, eco-friendly organic ingredients and materials. 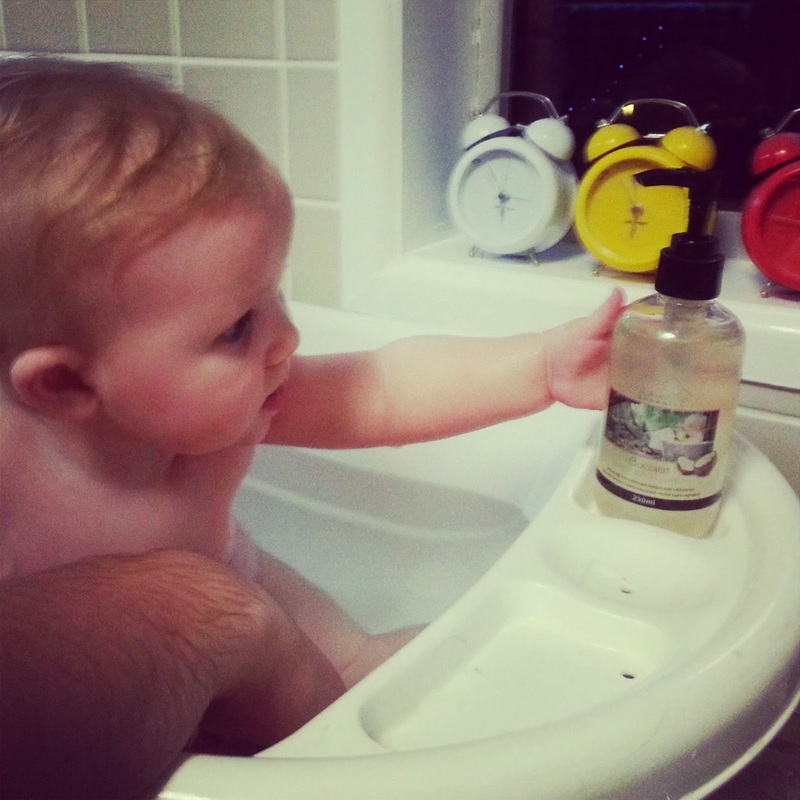 Her signature product is the luscious coconut baby bath range (bath wash/shampoo and moisturiser). She also stocks gorgeous bamboo wraps, towels, sleeping bags, sheet sets, amber teething beads and bibs. 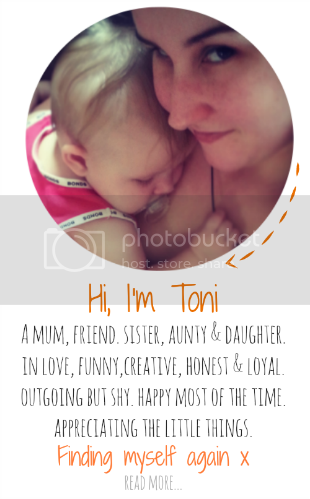 We have tried and tested a number of her products and this is what we think in our household. I have to admit I was mildly apprehensive when trying these products, but only because we have had reactions from a number of skin lotions and bath products before and I haven't been able to nail down the exact cause of the reactions. I have a feeling its either petrochemicals or fragrances that have caused her previous reactions. The Chamonix Rain baby wash & shampoo doesn't contain any soaps, parabens, formaldehyde, SLS, petrochemicals or synthetic fragrances so that put my mind at ease. I thoroughly checked the ingredient list (available in full online) before trying it and then also spot tested it on her skin before using them. I'm happy to report that she had absolutely no reaction to it whatsoever. She also really wanted to play with it for some reason (must like pretty packaging like mummy). After the bath we used the organic baby moisturiser. We have to moisturise her whole body everyday as she is prone to very dry skin from her cmpa allergy. Prior to using this moisturiser the only moisturising cream we've tried that she hasn't reacted to is QV cream. I was a little apprehensive about trying this cream as well because it soaks into the skin so if there is going to be a reaction it is likely to be worse with the moisturiser. The ChamonixRain Organics Baby Moisturiser is made from all natural, certified ingredients. It is enriched with coconut oil, aloe vera and natural vitamin E. It also has Chamomile and Lavender. I thought if anything she may react to the oils as she has had a reaction to Olive oil (of all things) in the past. I did a spot test with the moisturiser as well. I'm happy to say that she didn't have a reaction to the moisturiser either. 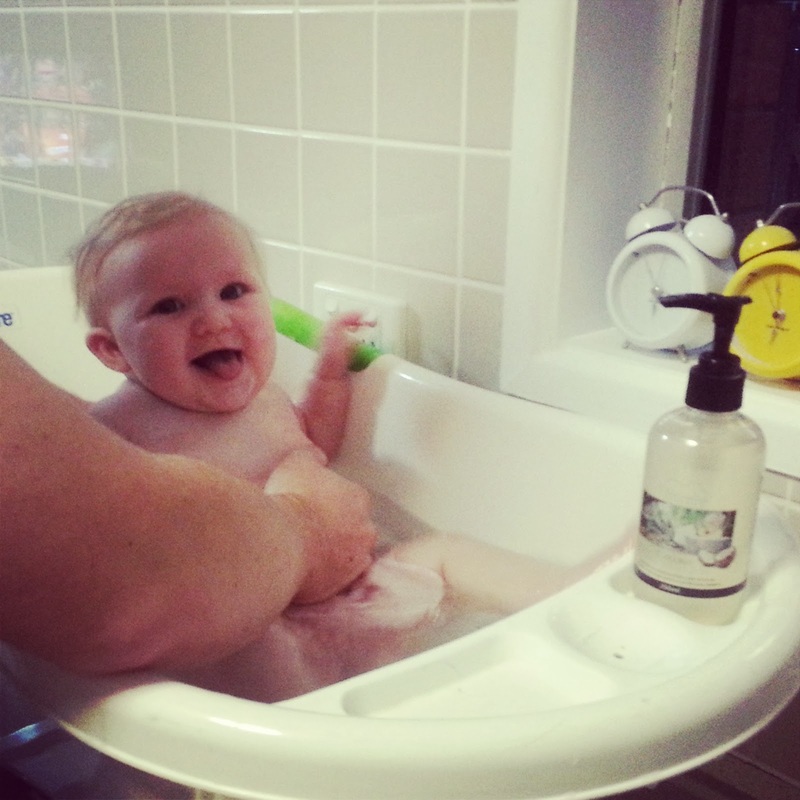 The bath range is great for babies who have sensitive skin, are prone to eczema or have an allergy like bubba. They are also great value at $11.95 for a 250ml bottle. The moisturiser is more than double the size of the QV cream we normally use and only a couple of dollars more. Michelle is also in the process of designing a coconut bath range for mums as well. The problem I found with a lot of wraps since becoming a mum is that they are too small and she grew out of them very quickly. I worked out after a few weeks that its better to pay a bit more for a larger wrap than buying the cheaper smaller ones from department stores. The larger ones fit for so much longer so they end up being better value for money anyway. 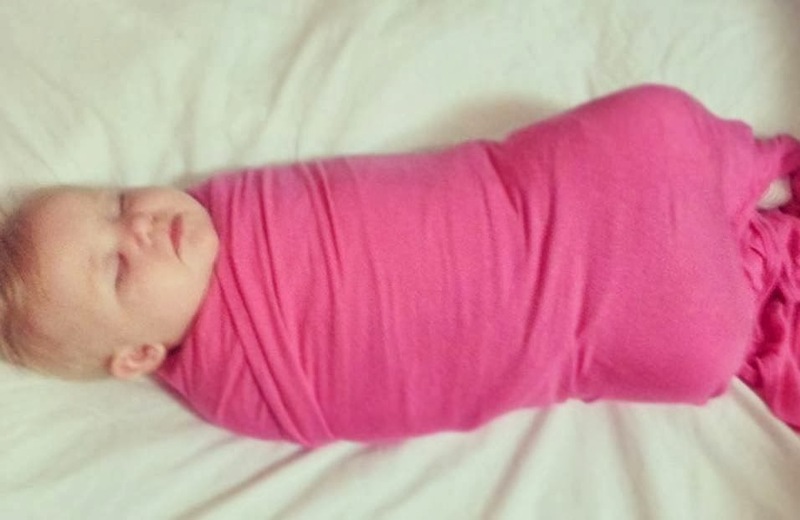 We tried out the pink bamboo wrap in the x-large size as bubs is very long in the body and already six months old. She has loved being wrapped ever since birth. Its the only way she would sleep at night and during the day she always wants to have a wrap over her and touching her face (not sure where she picked up that habit). Although we were on the verge of transferring to a sleep suit when we got the wrap and have now completely transitioned her night sleeps to a bag, we still use this wrap daily (as you have probably seen on my instagram feed). She also still fits into it folded over and wrapped up at nearly 7 months old. I love the fact that the wrap is a bamboo jersey. It is extremely soft and feels similar to cashmere (no wonder why she wants it up against her face most of the time). Bamboo is naturally stretchy so it allows for her to be wrapped tight, but it's not too restrictive. Bamboo is also breathable and absorbent which are two very useful factors when it comes to sleeping products. She usually sweats a lot, but not in the bamboo wrap which is great because she is also prone to heat rashes. Bamboo is also anti-bacterial and hypo-allergenic which prevents skin irritation as well. I am seriously in love with bamboo, its my new favourite fabric. 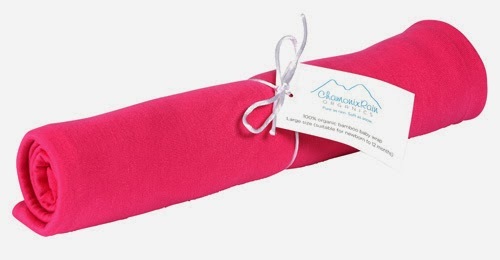 We also have the ChamonixRain Organics cot sheets. 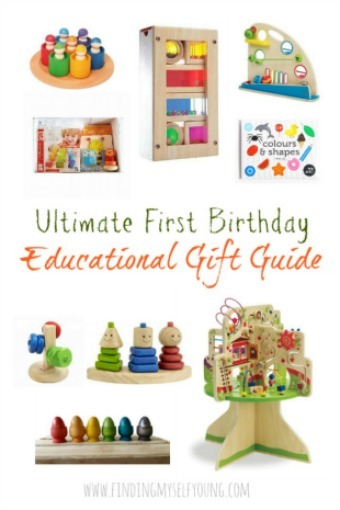 They are made from 100% certified organic bamboo as well. These sheets feel so good I want them on my bed! I actually contacted Michelle and asked her if she's going to make them in an adult range like the bath products (unfortunately the answer is no, but maybe we should start a petition?). The sheet set includes a fitted cot sheet and a flat sheet. They fit Boori and Australian standard sized cots. They are actually a little big for our cot mattress, but because of the stretch they tuck under and stay in place perfectly so it isn't an issue. I have been putting the sheet over the top of bubs sleep suit because we sleep in aircon at night. She wriggles side to side a lot throughout the night (just like mum) and yet she still doesn't manage to untuck the sheet. Which is great for reducing my anxiety levels (I'm always paranoid she will get stuck under sheets at night because others have come loose). The antibacterial properties, absorbency and self regulating nature make bamboo the perfect material for baby bedding. Organic bamboo is grown without pesticides which means there are no chemicals so she won't be breathing in any nasties during the night. They will also last her right through to toddler stage (when her cot converts into a toddler bed) so they are great value for money. There is a tiny bit of piling right where her head goes as she sleeps, but that is to be expected as all fabric will pill when rubbed on. She also turns her head so much during the night and rubs against it more than usual. She literally has a bald strip across the back of her head (instead of a patch) because she rolls so much. Its easily fixed as I have a little remote pill remover so its not a big deal and I will rotate the sheet going forward. 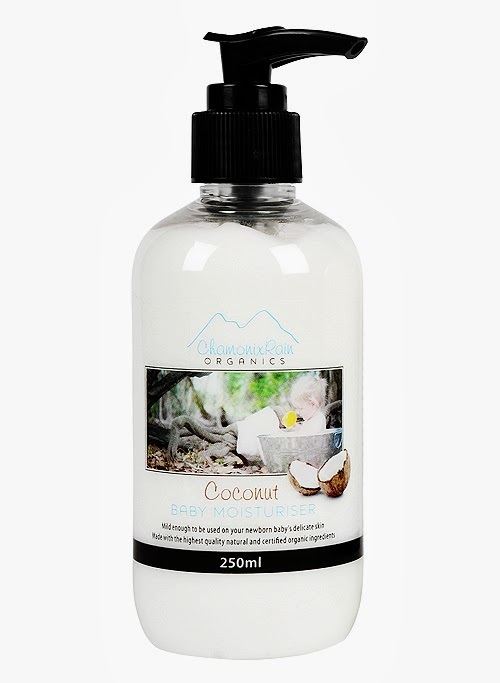 I am so happy that I have found ChamonixRain Organics and their awesome range of products. They have been great for bubs and its reassuring to find more products that she doesn't have reactions too. It makes me feel like the allergy battle we are facing is not as big and that I can beat it. I would highly recommend their products for any new mum, but particularly for those who have bubs with skin conditions or irritations. * Disclosure - I was not paid for this review. All opinions are my own based on our experiences with the products. This is a really handy review for me at the moment as I have been battling a horrific rash with my 5year old. We are using oats in the bath and coconut oil to wash at the moment because her skin is so irritated. Where do you buy this range from? It is really worth doing the research! I'm sure there are many parents that will be thanking you for publishing your findings and recommendations. I too never bothered examining labels until my daughter started to react to certain products (mostly 951, 961, etc). I religiously check labels now. I'm making her own food from scratch at the moment, but the paediatricians have given us a huge list of things to avoid in food ingredients as well. It is great to find a product that works. Having my own allergies I realise how debilitating it is and to find the information to make your life easier. It is great that you are sharing your find. Yep Nikki I am totally in love with this brand! Thanks for the link. I like the idea of getting some nice sheets for my next bub coming in August. They are super nice, so soft. They are softer than my cotton sheets and mine are a really high thread count. That wrap is gorgeous. Love the colour and I can just imagine how nice it would feel against her skin. We've had bamboo sheets in the past and they really are fantastic. The coconut products sound delish too. I'm glad you've found some products that work so well with your cute one. I am the same Sharon, I react very easily too although I'm only actually allergic to cats and dogs. I have asthma and sinus though so we are becoming religiously careful with labels now that she has allergies and skin issues too. That's great that you have found products that work well for your bub!